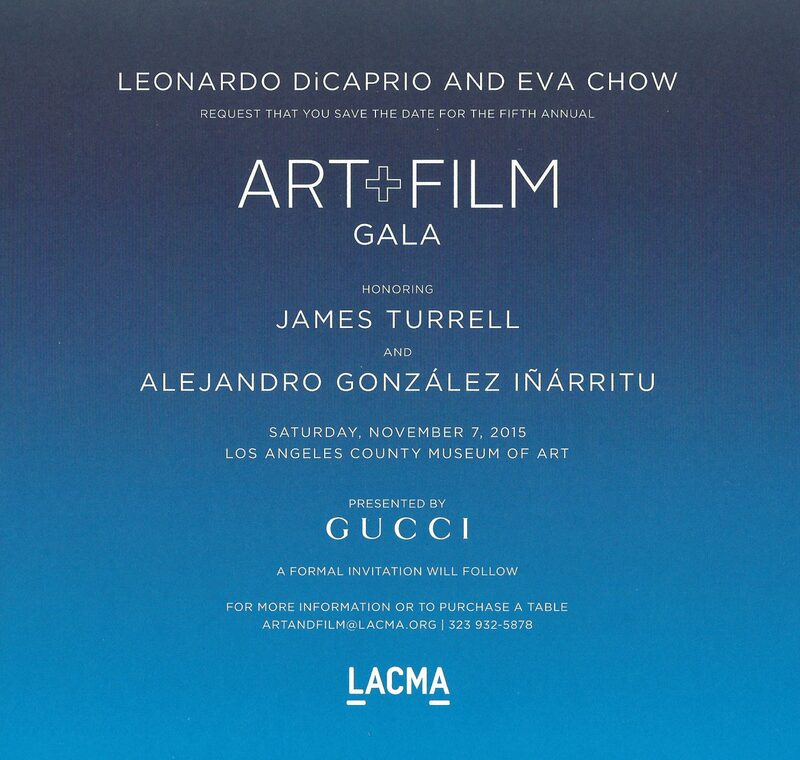 The James and Paula Coburn Foundation is very honored to be attending LACMA’s Art + Film Gala this evening which will be honoring legendary artist James Turrell as well as Academy Award-winning director, writer and producer Alejandro G. Inarritu. Celebrating its fifth year, the 2015 Art+Film Gala is co-chaired by LACMA trustee Eva Chow and actor Leonardo DiCaprio, who continue to champion the museum’s film initiatives. Gucci once again shows its invaluable support as the presenting sponsor of the annual event. LACMA’s ultimate goal is to enhance the local community’s media and visual literacy by creating programs such as educator development, in-school workshops, and even a mobile film lab.